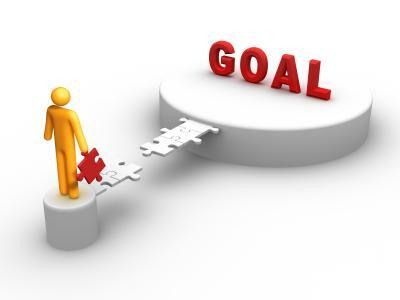 We all now how important setting goals is when it comes to accomplishing a task. They are the carrots on the stick that keep us moving forward. But what if you’re not setting good goals? A GOOD GOAL? You may be asking yourself, “Isn’t any goal a good goal?” True, anything is better than nothing. But when it comes to setting goals, there is a way that will improve your chances of accomplishing them. Instead of setting vague or random goals that may not push you to take action, it is important that you set SMART goals, which will help motivate you to take steps toward achieving them. So what are SMART goals? Specific – Generalities don’t work. The more specific and detailed your goals are, the more you can get emotionally attached to achieving them. What do you want to accomplish? Why? How is this goal going to make you feel once you reach it? Measurable - ”Getting in better shape” or “Lose a few pounds” are too vague. Vague goals lead to vague results. Make sure to set the exact weight you WILL BE, or the dress size you WILL get in to, or how fast you WILL run a mile, etc…Either you are going to hit that number or you won’t. But either way you need to be able to measure what you are going to achieve. Attainable – If you want to lose 100 lbs, it won’t happen in the next 3 months. If you are currently a couch potato, running a 7 minute mile isn’t going to happen in 3 months either. In setting your goals, make sure you push yourself towards a difficult goal that is going to help you get better, but make sure all that effort will allow you to reach the goal in the amount of time you have specified. Realistic – This one is similar to attainable above. But take it a step further; make sure the goal you are setting can eventually be reached. Attainable refers to reaching it within the time specified. Realistic refers to whether or not you can ever attain it. For instance, I will NEVER be able to win a gold medal in the Olympics for women’s floor exercise. I am not a gymnast, a woman, nor will I ever achieve that. Yes…its a drastic example. The point is, make sure you will eventually be able to reach the goal you are setting. Time-Sensitive – Set a due date. You know what you want to do. Now set a time you are guaranteeing it will be done by. And then get to working to make sure it happens. If you have any questions about setting your goals, or want some help in setting your goals, just let me know. I am here to help in any way I can. Nutrition is full of all kinds of nonsense. The worst examples are listed here, but unfortunately this is just the tip of the iceberg. Here are the top 13 nutrition lies that have made the world both sick and fat. The nutrients in them are enough to turn a single cell into an entire baby chicken. However, eggs have been demonized in the past because they contain a large amount of cholesterol, which was believed to increase the risk of heart disease. But the truth is that despite being high in cholesterol, eggs don’t really raise the bad cholesterol in the blood. In fact, eggs primarily raise the “good” cholesterol (1, 2, 3,4). Despite all the warnings about eggs in the past few decades, studies show that they are NOT associated with heart disease (5, 6, 7). If anything, eggs are pretty much a perfect food for humans. They’re loaded with protein, healthy fats, vitamins, minerals and unique antioxidants that protect the eyes (8, 9). They are also an excellent source of Choline, a nutrient that is very important for the health of the brain and about 90% of people aren’t getting enough of (10, 11). Despite being a “high fat” food, eating eggs for breakfast is proven to cause significant weight loss compared to a breakfast of bagels (12, 13). Bottom Line: Eggs are among the most nutritious foods on the planet and do not raise your risk of heart disease. Eggs for breakfast can help you lose weight. The truth is that calories matter… but the types of foods we eat are just as important. That is because different foods go through different metabolic pathways in the body (14). Additionally, the foods we eat can directly impact the hormones that regulate when and how much we eat, as well as the amount of calories we burn. Protein: Eating protein can boost the metabolic rate and reduce appetite compared to the same amount of calories from fat and carbs. It can also increase your muscle mass, which burns calories around the clock (15, 16). Fructose vs glucose: Fructose can stimulate the appetite compared to the same number of calories from glucose (17, 18). Even though calories are important, saying that they are all that matters when it comes to weight (or health for that matter) is completely wrong. Bottom Line: All calories are not created equal. Different foods go through different metabolic pathways and have varying effects on hunger, hormones and health. For many decades, people have believed that eating saturated fat can increase the risk of heart disease. In fact, this idea has been the cornerstone of mainstream nutrition recommendations. However, studies published in the past few decades prove that saturated fat is completely harmless. A massive study published in 2010 looked at data from a total of 21 studies that included 347,747 individuals. They found absolutely no association between saturated fat consumption and the risk of heart disease (19). Multiple other studies confirm these findings… saturated fat really has nothing to do with heart disease. The “war” on fat was based on an unproven theory that somehow became common knowledge (20, 21). The truth is that saturated fat raises HDL (the “good”) cholesterol. It also changes the LDL cholesterol from small, dense LDL (very, very bad) to Large LDL, which is benign (22, 23, 24, 25, 26). There is literally no reason to fear butter, meat or coconut oil… these foods are perfectly healthy! Bottom Line: New studies show that saturated fat does not increase your risk of cardiovascular disease. It raises the good cholesterol and changes the “bad” cholesterol to a benign subtype. There are also some controlled trials associating wheat gluten with various disorders of the brain, including schizophrenia, autism and cerebellar ataxia (45, 46,47). One example of that is meat… which humans have been eating throughout evolution, formillions of years. Most importantly, seed- and vegetable oils are associated with a significantlyincreased risk of heart disease… the biggest killer in the world (77, 78, 79, 80, 81). Because they are high in fat, they have beendemonized by nutritionists and the media. Low-carb diets where people are allowed to eat as much as they want causemore weight loss than low-fat diets that are calorie restricted (84, 85). Low-carb diets increase HDL (the good) cholesterol and decreasetriglycerides much more than low-fat diets (86, 87, 88). The health authorities constantly tell us to reduce sodiumin the diet in order to reduce blood pressure. When consumed in excess, added sugar is associated with multiple diseases, including obesity, heart disease, type II diabetes and even cancer (109, 110, 111, 112,113). It seems to make sense that eating fat would make you fat. After all, the stuff that is making people soft and puffy is fat. For this reason, eating more fat should give us more of it. However, it turns out that it isn’t that simple. Despite fat having more calories per gram than protein or carbohydrates, diets that are high in fat do not make people fat. This depends completely on the context. A diet that is high in carbs AND fat will make you fat, but it’s NOT because of the fat. In fact, the studies consistently show that diets that are high in fat (but low in carbs) lead to much more weight loss than diets that are low in fat (114, 115, 116). This post originally appeared at Authority Nutrition. Copyright 2013.